Allow busy and hectic times, such as the holiday season, pass away because the hustle and bustle may overwhelm your pet when trying to introduce it to your family. Another reason why this is not a good idea is that your family won’t be able to completely direct their attention to the Emotional Support Animal and may even see it as a nuisance than as a companion. Getting your pet accustomed to the place is just as important as being accustomed to the people. Let her get used to the smell and sights, and allow her to explore the place and develop familiarity. Pet-proofing a house is crucial, and it makes the introductory experience less stressful for the pets and the family members. Loose electrical cords and cables should be kept away, cleaning aids, poisonous plants and chemicals should be stored in places that are out of reach, and small items (like magnets, toys, and marbles) should be kept out of your pet’s way. There are additional tips on how you can help make your home more pet-friendly. Another important part of the introductory phase is to keep the ESA contained in a cage or kennel until it fully becomes familiar with the surroundings. A crate or cage will provide a safe and comfortable place for the animal to rest and move around without interaction. It also reduces the risk of damaging behavior inside the home, which could result in harm to both the pet and the people. Getting family members and pets to bond can be challenging. While we all hope for instant love and connection between the two parties, this is not often the case, as pets usually feel threatened, defensive, or jealous. A good spot to introduce the two in a safe and neutral play area where the ESA can feel at ease and not be under pressure. When handling dogs, make sure the leash is attached so that aggressive behavior can be stopped immediately. Introducing children to a new ESA should be properly planned. Excited children often scare animals, so it is essential to keep them calm and composed before bringing the two together. 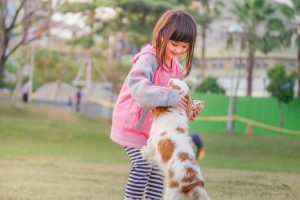 Prevent children from picking up the newly introduced pet as animals tend to feel less confident when not on their feet and therefore more prone to showing aggressive behavior. Another tip to keep in mind is never to leave children and pet alone together. Instead, slowly and carefully teach young ones to handle the pet in your presence and show them the appropriate way to show affection. An emotional support animal can bring you a ton of joy, relief from mental conditions, and improve the overall quality of your life. However, properly planning for its introduction is your job as a good owner/handler so your new animal friend can be at maximum ease and comfort. Make sure to pay good attention to these tips as they will definitely make the transition happy and seamless for everyone involved, and foster a strong relationship.